New research into grass management and maintenance for premier sports stadiums is long overdue, a leading turf expert said this week. The push for renewed research comes as pressure grows for high quality sports turf in multi-use stadiums such as Suncorp Stadium, while juggling the schedules of the NRL, AFL, A-League, Super Rugby and live concerts. 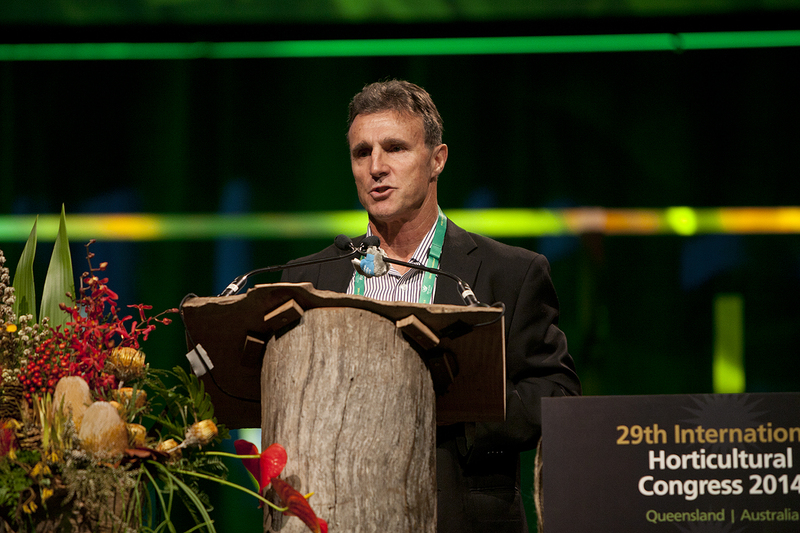 Addressing the 29th International Horticulture Congress in Brisbane this week Turf and Landcare Australia Principal Keith McAuliffe said any new turf management research must focus on sustainable turf practice. “I believe there’s a long way to go, our root zone profiles are just totally unsustainable,” Mr McAuliffe said. Mr McAuliffe told the Conference how choosing between grass varieties – for example between Bermuda grass or ryegrass – can seriously affect turf recovery time after intensive use in the south-east Queensland climate. Mr McAuliffe said the lack of maintenance standards for high quality turf also needs addressing as does adapting to sporting timetable constraints. “If we want to achieve a consistently higher result, we need to undertake research,” Mr McAuliffe said.